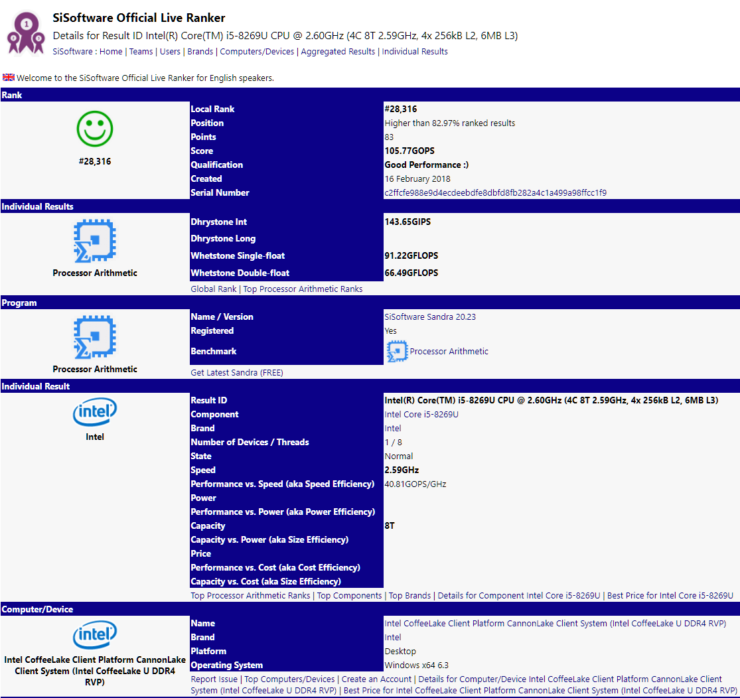 The latest listing on Sandra has revealed another Coffee Lake processor, a quad core Core i5 with SMT support. The new processor which is known as the Core i5-8269U is going to be a new entrant in Intel’s Coffee Lake 8th generation processor family. Update: The story has been updated after confirmation that this is a Coffee Lake-U processor and not a Cannonlake-U based SKU. 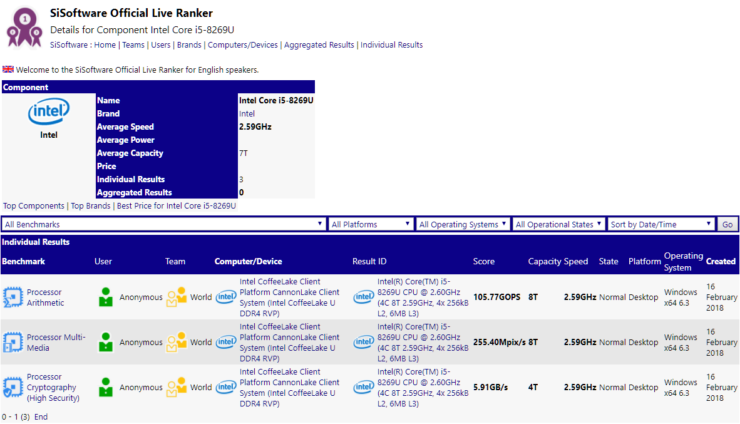 Yesterday, we reported the first listing of a Intel Cannonlake Core i3 processor. The processor that was listed as the Core i3-8121U turned out to be dual core with multi-threading, clocked at a base frequency of 2.20 GHz and had 4 MB of L3 cache. The boost clocks weren’t mentioned but it can be compared to the Core i3-8130U (Kaby Lake) which is based on a 14nm+ process which features the same specifications however, the 10nm based Cannonlake part may feature higher boost clocks or better efficiency. Moving on to today’s listing, we are looking at another Coffee Lake-U part. This time, it is a Core i5 chip. The chip is called the Core i5-8269U and comes with a quad core design and SMT support. The specifications are very similar to the current 8th generation Core i5 Kaby Lake-R processors. In terms of clocks however, we are looking at a good bump in base clock. Currently, the fastest Core i5 U-series chip comes with a base clock of 1.7 GHz and boosts up to 3.6 GHz. The Core i5-8269U which is based on the same 14nm++ architecture features a base clock that is set at 2.60 GHz. No details regarding the boost clocks are mentioned but we can expect it around the 4 GHz mark at least if not higher. Other specifications are similar to current Core i5 U-series chips such as a 6 MB L3 cache, 15W TDP. 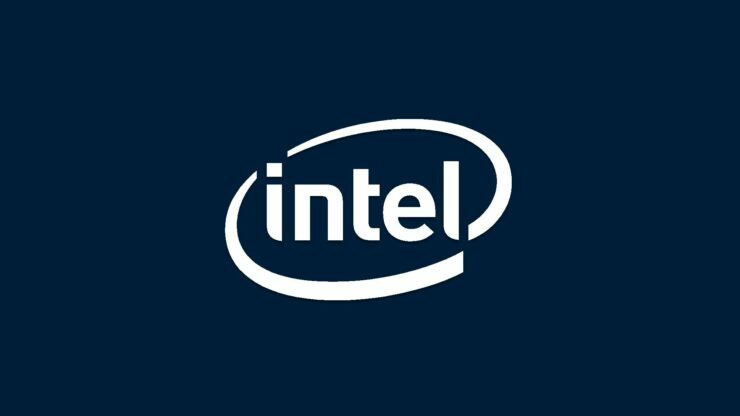 There’s no mention of iGPU right now but Coffee Lake-U chips do feature a Gen 9.5 iGPU so we are probably looking at HD 620 series graphics. No other details are mentioned but it looks like we may get to see this chip launching on various notebook platforms soon.